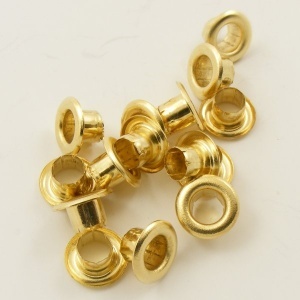 This is a pack of 100 brass eyelets with an internal diameter of 5.5mm. 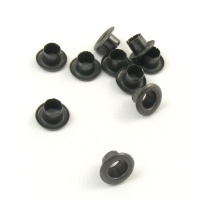 They are used to reinforce holes in lightweight leathers. 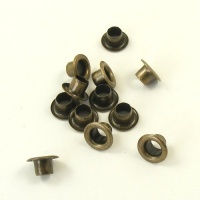 The central tube is 4mm long, making these eyelets suitable for leathers of up to 2.5mm thick. 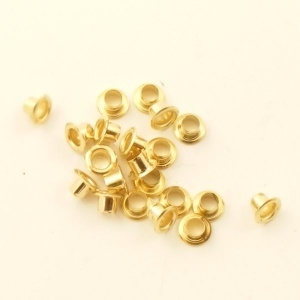 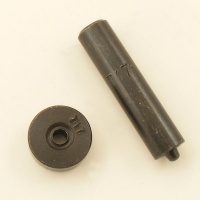 These eyelets are fitted with our 5.5mm eyelet tool, found below in related items.